We are fully qualiﬁed ﬁnancial planners who believe that a client is for life, and that the investment world changes fast. The old broad brush approach of leaving an investment unlooked at for 5 years or more, does not sit comfortably with us. If you would like a long term, transparent and regular relationship with your ﬁnancial planner – our proposition is probably for you. Quantative research: we are able to look at a fund’s performance against its sector peers over the past month and discreet time periods to purely monitor the funds track record on bottom line growth. Qualitative research: we outsource to professional ratings companies the task of rating a fund on the basis of its fund manager’s performance, ﬁnancial strength and risk controls. They interview fund managers regularly, and we take into consideration their views on a fund’s prospects. We are able to receive data that looks at a fund manager’s skill in avoiding volatility whilst producing growth, we are also informed swiftly if a fund manager leaves a fund. 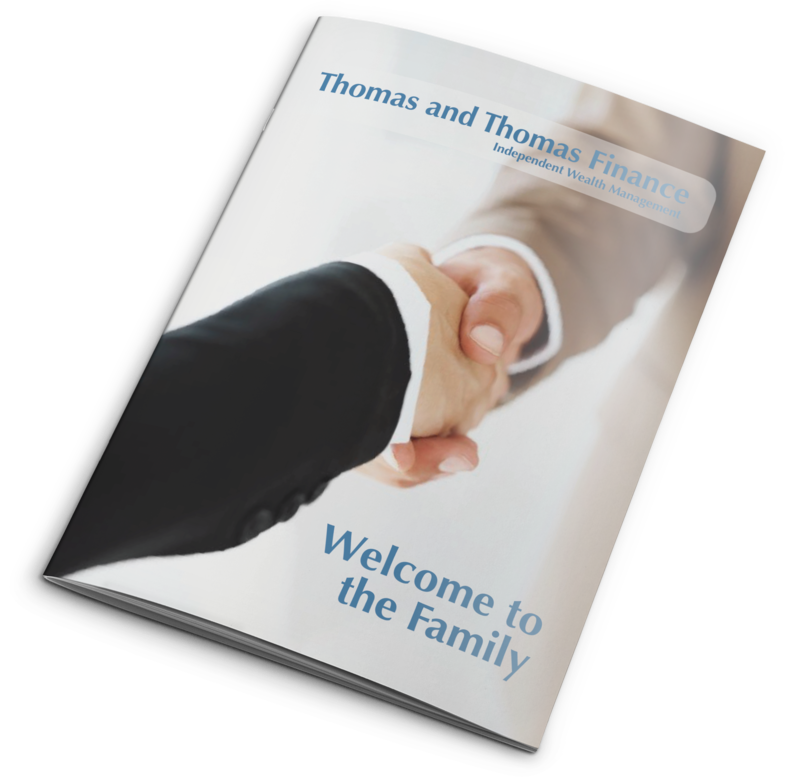 To help us focus our view on a particular fund and simplify the process for you, we have developed our own Thomas and Thomas trafﬁc light system. Our clients say that we are a ‘breath of fresh air’ in giving them clear guidance as to whether they should keep or sell a fund and why. We update our own research on funds every quarter without fail. This means that our clients beneﬁt from our very latest up to date fund recommendations. In 1952 an investment analyst called Harry Markowitz developed the ‘Efﬁcient Frontier’ theory for investment portfolio construction. He argued that chasing the latest investment opportunity was less efﬁcient than holding many asset classes that had been carefully selected in accordance with a person’s appetite for volatility. Today, all respected investment houses will stick to this principle – developing ever more complex and expensive software to calculate the exact amounts a client should hold in any one asset class. We have mirrored this concept, holding 5 benchmarks which we update every quarter. We take in information from various respected asset allocation specialists which enables us to develop and maintain professional and unique benchmarks. Some funds use strict ‘top down’ management approaches to investment, whilst others allow managers freedom to invest through a ‘boutique’ style. Other funds work in a ‘top up’ approach that allow staff within the fund group to feedback their views to the fund manager. We believe in seeking out all of these styles when reviewing your portfolio. We are also able to ﬁnd out a manager’s exposure to certain stock classes. This then enables to include a particular fund within our recommendations to complement existing holdings, and offer you exposure to a range of styles. Our offering is consultative, not discretionary. In other words we will always let you know before we do anything to alter your funds, and we work with you to meet your own views and opinions. We recognise that funds go off the boil for a variety of reasons, and that the shape of a portfolio changes over time – all ultimately affecting performance. We recommend regular reviews for our clients. We are able to re-visit your funds, and make sure that none have turned ‘red’ in our view. Even the simplest portfolio will go out of shape over time. Some sectors and funds do better than others. We are able to ‘prune back’ a sector if it has performed well, and reinvest in other sectors. We call this mechanism ‘rebalancing’ and we believe that it is a vitally important service. Failing to counteract portfolio drift, may increase its exposure to volatility and inadvertently change your original risk strategy. We can ISA wrap existing investment funds within your portfolio over time to constantly make use of your full allowance. This would mean that – as long as the chancellor allows – we can gradually sell investment funds and buy back valuable ISA funds to create a more tax efﬁcient portfolio.